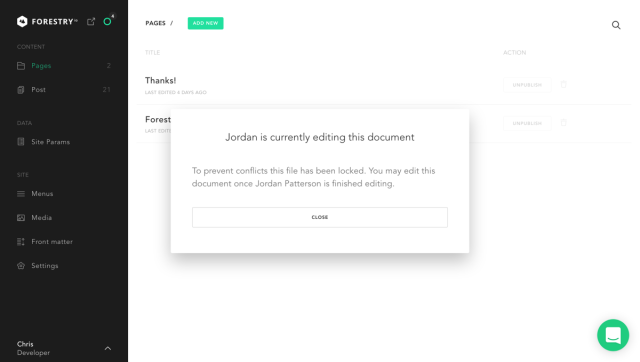 To prevent accidental overwrites and the tango of content editing, we’ve added in a locking feature to your content and data files. If you attempt to edit a page another user is editing, you’ll get a notification. We’ve also made collaboration more powerful by making drafts shared. If you make changes to a document without publishing, the rest of your team will see these changes when they view the page. This way your whole team can actively work to make a document the best it can be. We found that deploying the remote admin wasn’t as straightforward as it should be, so we’ve added the ability to deploy the remote admin with a single-click. If you have hosting setup, setting up remote access to your CMS is as easy as 1, 2, 3. 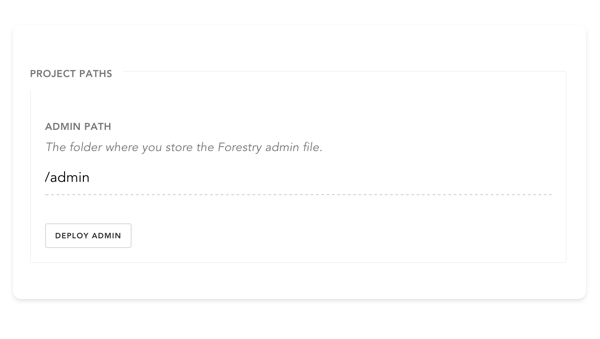 Setup the admin path in your Site’s Settings. If your site is built with Jekyll or Hugo using static site technology, you can start working collaboratively today.